Wings Forum • View topic - New guy. I've been with UPS working in ABQ for the past 30 years. Once it under way Ill post pics. Please excuse some of my rather simple questions, I have zero general aviation experience. The smallest aircraft I've worked on is a 727, so I am having to play catch up on this small plane stuff. 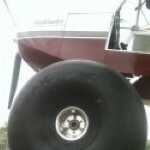 My plan is to build a Super STOL XL once I retire, I just can't hardly wait !! Thanks for having me !! Howdy New Guy, this is AV8R-Paul, welcome to the group. The hardest thing for me was biting the Bullet and getting Started. I really like the SuperSTOL XL. I really like the Titan 180, but I’d probably go with the Lower Compression ratio Titan that can use MoGas. A little less Horse Power but more than adequate. I might also consider the standard SuperSTOL with a Edge Performace Rotax 156 HP. If you want to talk private message me. I’ll send my phone number and we can talk. Good choice for your project! My advice to anyone new to this type of work is go to the factory and spend a couple days watching them and taking pictures. This will give you a much better idea what you need and how its done. The build manual for these is pretty good BUT it assumes you have built one before, so there is alot of blanks to fill in for a newby. You will make alot of phone calls. Thank for the offer, much appreciated. And yes I figured I'll be making a few calls during the build process. Its gonna be fun !! Welcome. Take some time going through the history on this site. It is invaluable when building. Yes, this is going to be fun! 486 hrs and loving every flight.